Each month we’re looking to showcase some Star Apprentices and we want your students to help us find them! 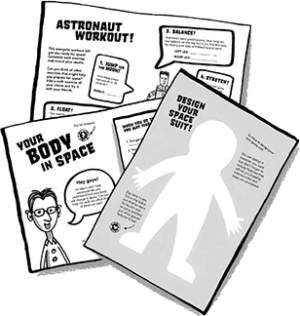 Ask two of your students to interview each other about the best things they’ve learnt about space as they’ve been working their way through the Space Diary, or interview your child if you’re a Home Educator. Encourage your students to ask open-ended questions, get philosophical and use their imaginations when coming up with their questions and answers. What’s the coolest thing you’ve learnt about space so far? If you could take any animal to space, what would it be? What’s your favourite thing about your teacher? Where would you want to travel to if you were an astronaut? If you had a motto what would it be? Email the questions and answers to alice@thecurvedhouse.com along with a couple of photos and we’ll get them featured on our Space Diary blog. 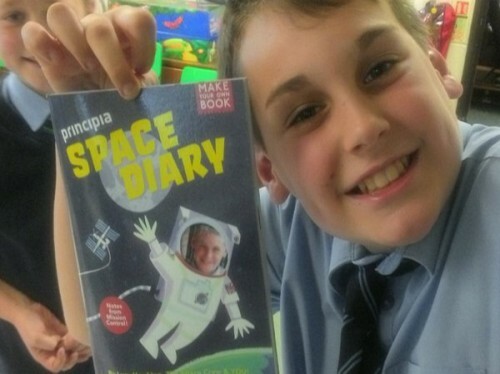 We’d love a head and shoulders image of the children holding their Space Diaries and a image of their favourite activity they’ve done so far. Here at the Space Diary HQ we’re very serious about photo permissions and child safety. Before sending us any images please download and read our official photography policy. Any child featured on our blog must have their photo permission form filled out by a parent/guardian/teacher which then must be sent over to us for our records. These can be downloaded here.